When only the best is enough for your feline friend, look no further. Maybe your cat is getting old and having senior problems, or maybe she’s just extremely sensitive to stimuli. If so, then Cibapet’s 4% CBD oil might just be what you’re looking for, as CBD oil has a wide range of potential therapeutic benefits. In addition to CBD, this oil contains a wide range of healthy and beneficial ingredients, making them an excellent addition to your cat’s daily regimen. 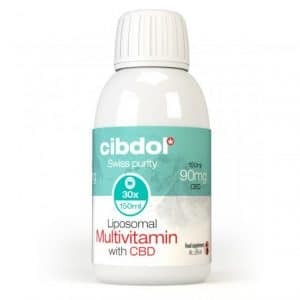 This formula combines the restorative effects of CBD with the beneficial properties of nutrients such as fish oil, vitamin E, and fibre. It has been specially formulated to promote your cat’s overall health and wellbeing without any unpleasant and unwanted side effects. These supplements can help your furry friend maintain a lustrous, shiny coat while also targeting the digestive system and energy levels. Just like us, animals also have an endocannabinoid system. Their receptors help control and regulate a variety of bodily functions including, but not limited to, appetite and the immune system. 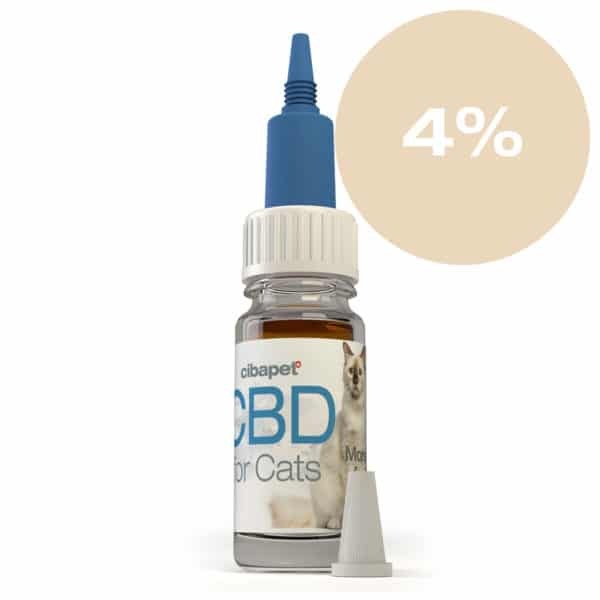 Cibapet’s 4% CBD oil is specially formulated to not only support but enhance this system and to make your cat's life easier and more comfortable. Much like humans, cats can also suffer from anxiety and stress, which is exactly why finding the right CBD product can make such a difference. 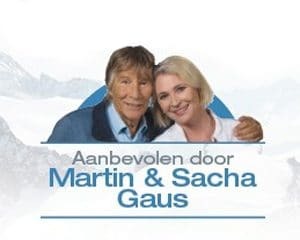 You may recognise Martin Gaus from his many appearances on a variety of television shows. Martin, who is now an ambassador for the Cibapet line, has long been an ardent advocate for animal rights and animal welfare, and there’s a good reason why this expert can often be heard on the radio! 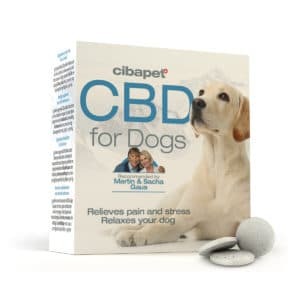 Backed by research that CBD has a wide range of applications and therapeutic benefits, Martin strongly believes that Cibapet products can help promote your cat's overall health and wellness. The maximum dose in cats is 1 to 2 drops administered 2 to 3 times a day. We always recommend that you “start low and go slow” in order to determine the right dosage for your cat: when starting low, the dosage can be adjusted to suit your cat’s individual needs. Kittens require a smaller dosage of 1 to 2 drops per day. 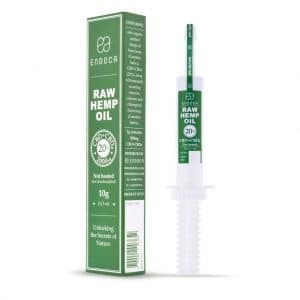 This CBD product is packaged in a handy dropper bottle for ease of use and administration. Will CBD products get my cat “high”? 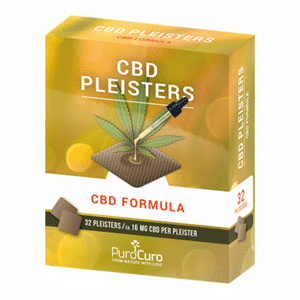 CBD (cannabidiol) is a non-psychoactive compound found in cannabis and hemp. Using these natural CBD products won’t get your cat “high” and are therefore completely safe to use! How should I administer Cibapet 4% CBD oil to my cat? This Cibapet product is packaged in a bottle with a handy dropper that allows for quick and easy administration – just follow these two simple steps: 1. Gently tilt your cat’s head up to allow their jaw to drop open and insert the dropper. 2. Squeeze the blue rubber part of the dropper softly but firmly to release the appropriate amount of CBD oil. Giving oral medication, remedies, and supplements to a cat can be a challenge. In these cases, we would recommend administering the supplements with food or with your furry friend's favourite treat! 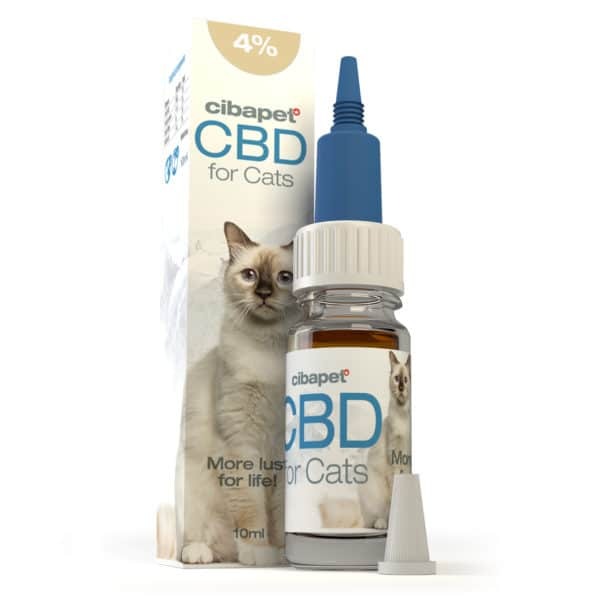 Cibapet Pet is a line of CBD products for cats founded by Cibdol, a Swiss company that is widely known for being a leader within the CBD industry and manufacturing high-quality, organic CBD products. All Cibapet products are made from natural ingredients that have been sustainably sourced.